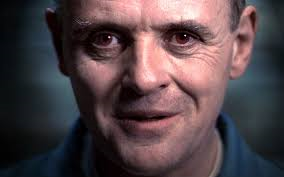 Hannibal Lecter is truly a special type of insane, and I mean that literally. While Dr. Chilton describes him as a pure psychopath (sociopath in the novel) during Silence of the Lambs, Lecter's original adversary Will Graham explains it best, psychiatrists describe him this way because "they do not know what else to call him." In Silence, Clarice Starling adds to the idea stating, "They don't have a name for what he is." The one thing we do know about Dr. Lecter is that he is extremely intelligent. Even after his found to be a murdering cannibal, the FBI continues to ask for his help to solve high profile cases. Hannibal is definitely a one of kind horror movie villain. 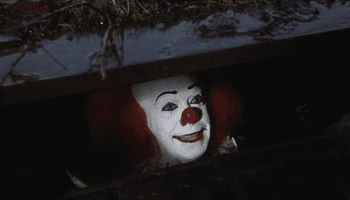 The ultimate killer clown. The self proclaimed "eater of worlds and children." To It, the fear in a child is like salt on a steak. It can take the form of anything that frightens you but likes to create havoc as Pennywise the Dancing Clown. Literally your worst nightmare come to life. ~John Moser.